Stowe is home to a multitude of shops to suit every budget and interest. You’ll find all kinds of sporting goods shops, clothing boutiques, and specialty shops. Shopkeepers offer unique cards, specialty foods, gifts, crafts, jewelry, antiques, handmade furniture, books, calendars, and more. 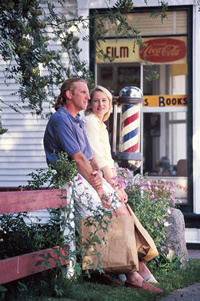 The selection of sights and attractions in the Stowe Area is plentiful. Take a tour at Ben & Jerry’s Ice Cream Factory or the Cold Hollow Cider Mill, venture to Cabot Creamery and the Morse Maple Sugar Farm, or stroll through the Vermont Ski Museum, right here in Stowe Village. Other attractions include Green Mountain Coffee Roasters, Vermont Teddy Bear Factory, Shelburne Museum, and Shelburne Farms, just to name a few.